Andrew Gilding played from 2010 - 2011 on the BDIO Circuit and reached in 2011 the last 16 of the Winmau World Masters. In the same year he qualified or the UK Open as a pub qualifier and played himself under the last 32. From 2012 he started to play on the PDC circuit with his best result the quarterfinals of an UK Open qualifier. In 2013 he stood in the semi-finals of a Players Championship but lost his Tour Card end of the year. So in 2014 he had to take part in qualifying School and again got a two year Tour Card. He reached the final of an UK Open qualifier and the final of a Players Championship and qualified for the World Matchplay by the Pro Tour Order of Merit but lost first round. He qualified as well for the PDC World Championship 2015 but had no chance against Robert Thornton in his first round match. In 2015 he played himself into the semi-finals of the UK Open where he lost to Michael van Gerwen - his so far biggest success. 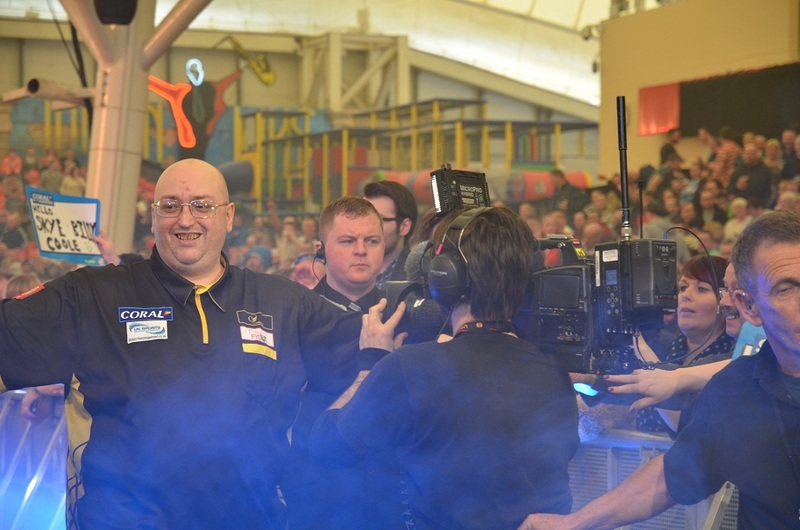 He was qualified again for the PDC World Championship 2016 and reached the second round but his best result 2016 was a semi-final on the Pro Tour. Nevertheless he managed to qualify for the PDC World Championship and will play against John Henderson in the first round.